So anyone who played Ragnarok Online should be familiar with these. This is the ultimate evolution of the boss of the Ragnarok online collab which drops. In some sense it's like a descended boss. Either way, it's base form Poring is used as enhance material. Meaning if you feed a monster it, you'll get a lot of exp. 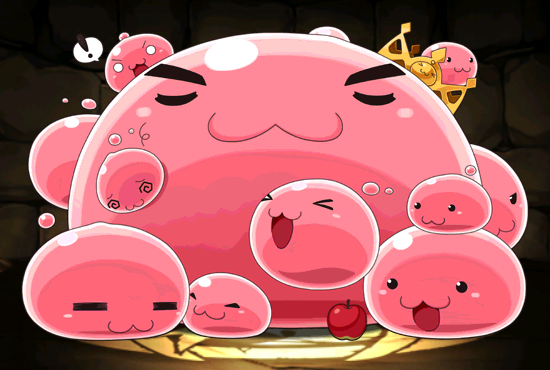 However, it's true value lies in getting it up to this Master Poring form. To do that you need every slime from the Poring Tower. This gets you a Mastering. Then you fuse five Masterings to get this. It's actually quite slog, but worth it. The leader skill for King Mastering is 2.5x HP and 1.5x ATK for Physical types which this is a part of. 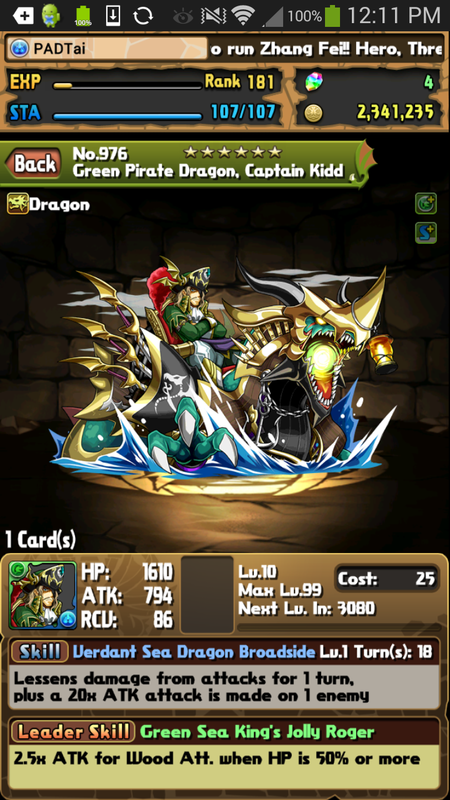 Basically, so far the highest HP multiplier in PAD is 2.5x and this comes with a 1.5x ATK boost. So it's really good. However, the true value of this monster is in its active skill. It is a board re-shuffle. Basically you'll get a new board of orbs. This is incredibly useful in high level play with Annubis. If you cannot get a board you can 8 or 9x combo you can use him to re-shuffle the board and maybe you'll get something that can. The second reason why this is used in an Annubis team is its raw HP. 4500 HP is gigantic, and you can't get enough HP on an Annubis team. Furthermore, the second best option is itself. Rating: Only super useful in end game. Otherwise meh. Pain to get. Little exp. Hate looking at it because it evolves Baby Tamadras. Gold dragon dungeon is rare. A couple of times every bi-weekly event. 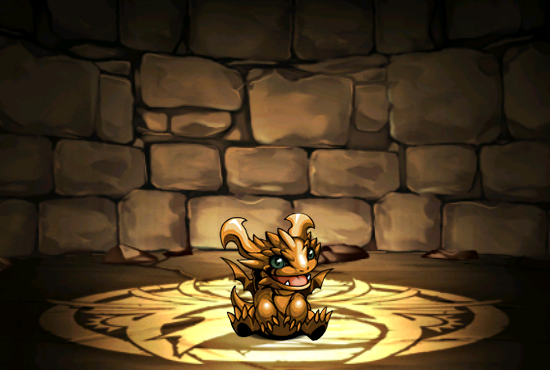 However, these critters are used to evolve Baby Tamadras into normal Tamadras which awaken your monsters. Either way not worth to use for exp. Rating: Enhance material you should use as evo material if you're patient enough. From PAD Z, that 3DS game. The awakening and typing makes him a prime Ronia substitute. Even if the Leader Skill and Awokens leave something to be desired. So the Leader Skill seems good, 3.5x ATK for Dragon types if over 50%, and it is good, as long as you aren't getting hit. Dragons naturally have low RCV so when you get hit hard, it's hard to recover that HP. So then this is a good leader skill for rush-down type play or plain farming. In a more strategic arena, you could use this on a Red Sonia team or Pandora Team. Red Sonia is RCV intensive; however, suffers from rather low HP. There this active skill which reduces damage by 35% for two turns could be a life saver. For Pandora, while she isn't RCV intensive, he is the type subtype Devil and an orb enhance. The 35% damage reduction is just the icing on the cake. Good for Green Sonia as well. Rating: There are better cards, but pretty versatile due to typing and active skill synergy. BTW, I've been kinda playing some of the 3DS some of the App version, what do you do with the rest of the random metal dragons you get? Since I've just been using them for power-ups, as I had no idea about this whole awakening thing. the little ones you get from dailys if you do them? Either throw them into whatever you want to throw them into like you've been doing. Or just not do the dailys at all till you can do Supers Metal/Jewel Dragon descended. Only the gold ones are used to evo stuff now, so the others are pretty useless unless you got some really low leveled monsters you just want to pump them into. But try to throw them into stuff with the same colour if possible. Awakenings are things monsters can get when they reach a certain evolution or just have in their base form. It's on the top right. When you use a Tamadra on a monster with its awakenings greyed out they will gain the awakening and that will be usable. I've been just selling those free tamadras they'd been giving me! How do you trigger the awakenings btw? I accidentally did that PAD Academy thing and got a thing with what seems to be an awakening for all colors on the character from it. From what I understand you need to do a full row of that color to trigger it? You put your finger over the awakening in the monster screen and it tells you how. Some are passive like Auto-heal or +100 ATK. Others needs to be triggered by like using a row or matching 4 orbs. Nice analysis! 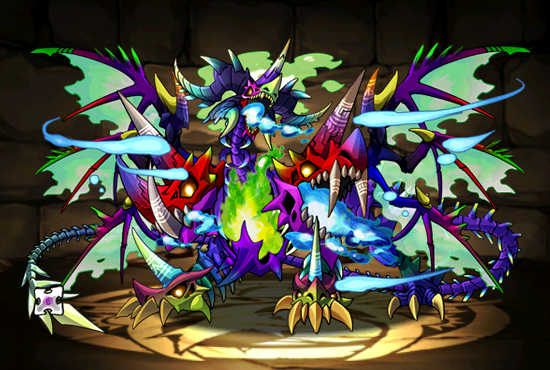 I've been playing PAD for a while now (Rank 163 BTW) and what I really like about this game is that they always add new monsters / evolutions, so you always have something to look forward to.